Apple really seems laser-focused on further removing communication hurdles and friction in iOS 8 by advancing Mail and Messages stock apps in ways more than one. For the most part, the changes in these two apps are for the better: Apple hasn’t cluttered their interfaces nor has it changed the familiar design. 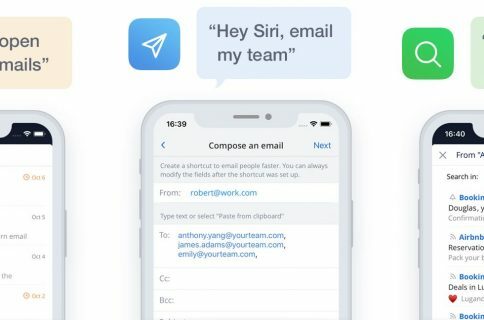 Apple’s thinking and consideration for the end user is especially evident in how iOS 8 handles group chats in Messages and email threads in Mail. How many times have you been frantically checking your mail out of fear that you’ll miss an important update in a thread shared with your boss and co-workers? It happens to me frequently and I’m glad Apple has done something about it. As TUAW notes, to start receiving alerts for replies to an email thread, swipe to the left on a desired message, choose More and then hit the Notify Me button from the menu. After confirming the prompt, you will receive a push notification anytime someone replies to the thread, ensuring you remain in the loop without having to check your inbox incessantly. You’ll notice a nicely designed bell icon in your message list which denotes any email thread that has reply notifications turned on. 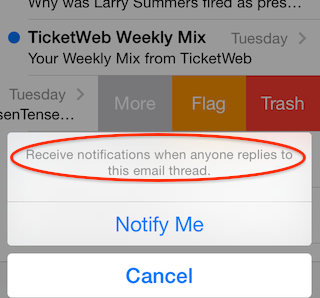 To disable notifications for a particular email thread, swipe to the left again, tap More and then hit the Stop Notifying button. In addition to this feature, Mail in iOS 8 allows you to mark an email as read (or flag it) by swiping, similar to Dropbox-owned Mailbox. You can even long-swipe to delete a message, too. And should your incoming messages include reservations, flight confirmations or phone numbers, Mail will recognize these items and offer appropriate actions. 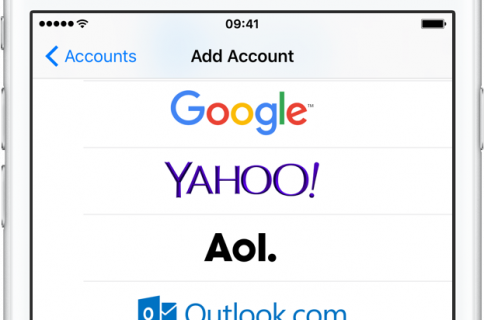 See also: a breakdown of headline new iOS 8 features, top email apps for the iPhone and the ultimate iOS 7 Mail app guide. 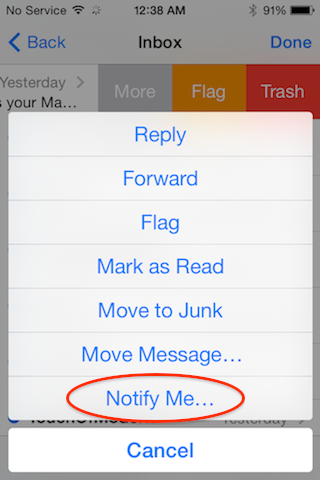 How do you like reply notifications in iOS 8 Mail? Is this something that will increase your productivity, do you think?